When it comes to powering your devices on the go, you don’t have a lot of options, especially since batteries in phones and tablets are getting bigger to meet the demand of the power that they consume. If you’re going on a road trip, or abroad for a few days and you need a way to charge your devices, the best way to do this is to use a power bank. There are a lot of power banks available on the market, however, after testing one a lot over the past few months, we have reached our conclusion on what the best power bank is. The Aukey 30,000 mAh is, after much deliberation is the best power bank that you can currently buy on the market. Off the bat, the capacity of the battery really stood out to us, and 30,000 mAh was a massive claim. The bank itself isn’t exactly small (as you’d expect) and sadly this does impact the time that it takes to charge it up to full capacity. It roughly takes 8-9 hours but considering that you’ll be able to charge your device numerous times with this, it’s a small price to pay. After testing this on an Asus ZenPad and the Motorola X Play we found that we could then charge the X Play a further 5 times off of the bank before we had to recharge it. One thing to bear in mind that this is actually a dual port power bank so you can indeed charge two devices at once. If it is the case that you have a device that has Quick Charge included in it, you’ll be able to charge your device even quicker. This is the latest the Quick Charge standard (3) but it is backwards compatible with standards 1 and 2. In the case of the Motorla X Play, this charged from 20% to 100% in 58 minutes which is an exceptional achievement. The Asus ZenPad does not have the Quick Charge function on it, so this was a bit slower and it charged from 20% to 100% in just under 90 minutes. With regards to build quality, the Aukey 30,000 mAh is exceptionally well built. It is composed of a strong and durable plastic, and unlike previous models it has curved edges on it. The benefit of this is that should you drop it, then the bank itself as well as what it falls onto shouldn’t suffer too much damage. There are also two output ports as mentioned above so that you can charge two devices at once. The ports also AiPower included in it, which means that it will match the power output needed for your device so you won’t end up frying it! Another nice touch is the fact that it also has a built in (and highly poweful) LED torch. This can be extremely useful in situations whereby you might be needing a light (such as if you’ve broken down in your car). There are also two ports included in it, being a USB Micro and USB C inputs. The benefit of this is that if you have an adapter with two ports on it (as most phone adapters do now) you’ll be able to charge the power bank up via the two input ports. It also comes with a USB A to Type C cable, and you’ll more than likely have an old micro USB cable laying around. This truly is the best power bank you can currently buy and it is well worth the money! Even if you’re not planning on going on a road trip, this is a great thing to keep in the glove compartment of your car to ensure that you’ll always have a backup in case the battery on your phone dies. 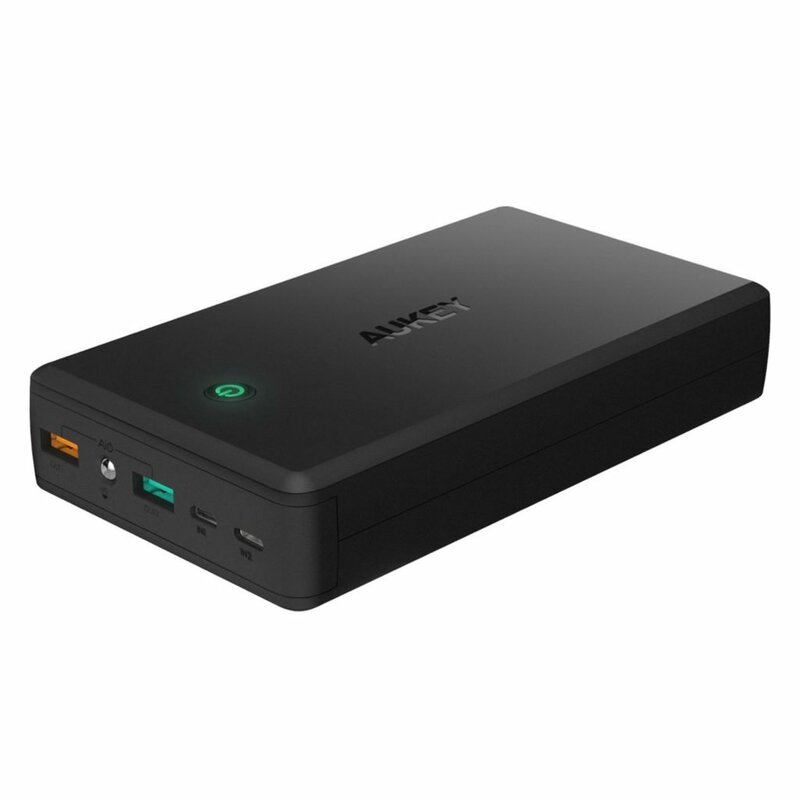 You can purchase the Aukey Power Bank direct from Amazon.